Other Part Number:EHS. Genuine5 Pin Orange Multi-Use Relay (Speed Signal ). Good Working Order. Tigra a & B (1994-2009). VECTRA-B 1996-2002. VECTRA-A 1989-1995. RANGE ROVER P38 Rover MG & LDV. Multi-Use Yellow Relay. PART NUMBER : 1393403. BMW Z3 SERIES E36. BMW 3 SERIES E36. ANY FAULTY ITEM WILL NEED TO BE REPORTED TO US AS SOON AS POSSIBLE. We have other parts available for this car. 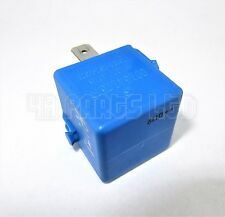 BMW E36 3 SERIES VIOLET RELAY. BMW PART NUMBERS61.36-1 388 911 - 1 388 911 - 1388911. Model - E46 Convertible 33oci. Make - BMW. Colour - Frozen White. Part number: 09158720. Complete with connector fixing bracket. Genuine 4 Pin Fuel Pump Purple Relay. 4 Pin Purple Relay ( Fuel Pump ). Saab All Models. Genuine Vauxhall or Saab Part. Green relay part no 61.36-8353447 from BMW E46. V23134 A52 X335. A 002 542 14 19. 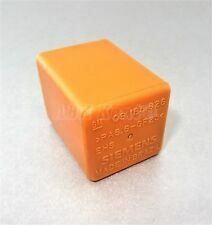 AUDI 80 90 B4 COUPE SIEMENS ELECTRIC WINDOW 363 RELAY 4A0959257. Condition is Used. Dispatched with Royal Mail 2nd Class. S430 S500 S55 AMG S600 S65 AMG. Relay Holders Bases. Relay Holders and Bases. Heat Shrink. Not a cheap imitation. Heat Shrink Tubing. Then use the “Add to Basket” button. 3 Way Components is based in Luton, Bedfordshire, England. THE PART NUMBER IS4A0 959 257. THIS RELAY HAS 10 PINS. From S-type. This is from a U.K. Car. SIEMENS / Tyco Relay V23074 . Condition is Used. Dispatched with Royal Mail 2nd Class. Your understanding and patience will be highly appreciated. DISCOVERY RANGE ROVER P38 ALL MODELS. YE LLOW MULTI-USE MICRO RELAY. PART NO YWB1000 4. P38 Range Rover. V23 36-B4-X7. Multi Purpose Relay. 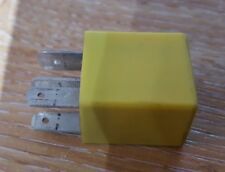 ROVER 25;45;200;400;600;800;DISCOVERY;FREELANDER AND OTHER YELLOW 4 PIN RELAY PART NR-YWB10027 USED AND GOOD WORKING CONDITION. Relay Colour:Mint-Green. Fit All BMW Models Listed Above. Genuine BMW Part. 6' E24 (12/1977 — 04/1989). 5' E28 (09/1980 — 12/1987). 5' E12 (06/1973 — 06/1981). 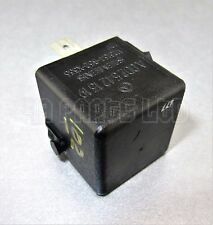 Welcome to my listing for this genuine Audi 80 cabriolet window relay in good tested working condition. Item is security marked to prevent fraud. Land Rover (Discovery 1 & 2, Range Rover P38, Freeelander 1.etc). 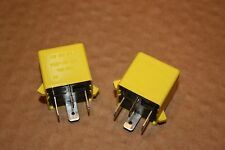 Genuine4 Pin Yellow Relay (Multi-Use). GenuineLand Rover Part. Kept in secure dry storage. Need help?. Part compatibility provided for reference only. Made By Tyco in Portugal. Mitsubishi Colt Pajero. Etc. Volvo S40 S60 S80 V40 V70. Etc.